Making the move from being a renter to a homeowner is an exciting time, filled with positive thoughts and hopes for the future. However, it’s also likely to be the biggest financial change you’ll have made in life so far, and it’s essential to get it right. As a first time buyer, you’ll have little or no experience to fall back on, but you can draw on the lessons learned by others of mistakes to avoid when buying your first home. When deciding how much you can afford to spend on a property, it’s natural to focus on the cost of a home loan and the ensuing monthly repayments. However, the costs of home ownership are wider ranging. You’ll also need to take into account insurance, taxes, and – critically – maintenance. As a renter, you can rely on your landlord to fix the leaking pipework or clear the blocked guttering. As a homeowner, you have no such safety net. All of these potential costs need to be taken into account and budgeted for, or you risk facing continuous financial difficulties in the years ahead. It makes sense, therefore, to consider finance that’s well within your means, so that you’re not overstretched, and will have some leeway to cope with the inevitable unexpected expenses that will crop up. We always recommend utilizing a Home Loan Calculator to get a good estimate on your monthly payment. (Full disclosure though, this is just an estimate, and it’s always recommend relying on a home loan lender for specific details). No matter what size of mortgage you think you can comfortably afford, your lender may take a very different view. Getting pre-approved for a home loan will give you a solid figure on which to base your house hunting, without wasting time and energy looking at properties that may realistically be out of reach. Want To Test Run Your Credit? Here You Can Do Just That To See Exactly Where You Stand. For many reasons, it’s a good idea to make as large a down payment as you can reasonably afford. You’ll need a smaller loan and so pay less in interest, and if you can put together a 20% down payment you can avoid the costs of mandatory mortgage insurance. We work with lenders that offer very little to even ZERO MONEY DOWN LOANS? We have helped numerous clients buy their first home with literally zero dollars out of pocket at closing. Contact us for details! 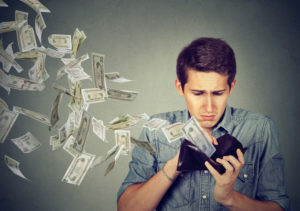 However, the key words here are ‘reasonably afford’ – if you overstretch on your down payment, clearing out your savings, then you’ll have no emergency fund to deal with the unpredictable expenses which are part and parcel of being a homeowner. It’s far better to look at ways of keeping some funds in reserve, whether this is by accepting the advantages of a smaller down payment loan,or by opting for a lower-cost house, or by delaying your purchase for a while until you’re on a sounder financial footing. For such an important, life-changing transaction, you need to have an expert to represent your best interests, and this means hiring your own estate agent to see the process through. 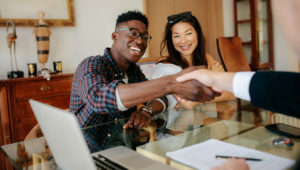 While the seller’s agents will almost certainly be fully professional, ethical, and above board, you need someone in your own corner, even though this will cost you a little extra, of course. When The Wilson Group represents you as home buyer, we actually don’t charge you a dime. We get paid by the seller, so NOT having representation on your side is a huge no-no. This is a common mistake but a potentially disastrous one. Once you’ve been approved for a mortgage and the sale seems to be nearing completion, it can be tempting to take out extra credit to fund furnishing or decorating your new home. The problem with this is that any change in your credit status between mortgage approval and closing can result in your mortgage offer being withdrawn. Taking out new credit will indeed change your credit circumstances, possibly tipping your rating over the critical point where you’re no longer eligible for your home loan. Everyone would love a perfect home, but it’s rare that a property completely matches up to your ideal. It can be easy to become too demanding and reject homes with high potential just because they suffer from a few drawbacks. Remember that when you buy your first home, you’re likely planning to spend many years there, and minor annoyances can be dealt with over time. If you insist on perfection, you’ll not only probably have a long wait, but you’ll pay more too – homes with improvement potential are usually a much more attractive bargain than those without flaws. On the other hand, you shouldn’t be in such a rush to buy that you’re blinded to drawbacks that will be highly expensive and difficult to remedy. For example, if you’re planning to start a family, having too few bedrooms or too small a yard are problems that will be almost impossible to fix – and simply moving to a more suitable property later on is much more difficult as a homeowner than a renter. Finally, it can pay to do a little research into the future prospects of the neighborhood you’re planning to move to. A bargain property may be too good to be true – is there any cloud on the horizon that could be prompting the sellers to move out quickly? For example, there may be plans for a new highway or retail development close by, which could significantly affect the quality of life in your new home. Try and be as sure as you can that there are no nasty surprises lurking down the line. Buying a first home is a major step, and can involve many pitfalls for the unwary. Following these tips will help ensure that you avoid these mistakes when buying your first home, & it’s a happy experience of a great new stage in life, and not a source of problems you’ll later come to regret. Making the move from being a renter to a homeowner is an exciting time, filled with positive thoughts and hopes for the future. However, it's also likely to be the biggest financial change you'll have made in life so far, and it's essential to get it right. 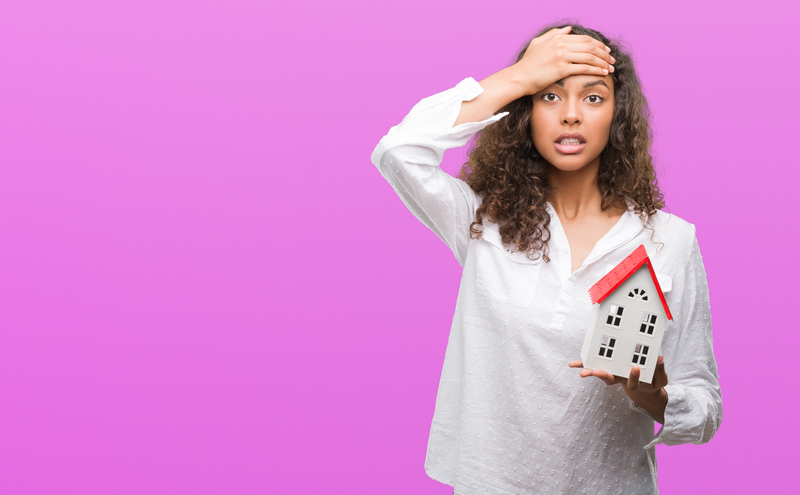 As a first time buyer, you'll have little or no experience to fall back on, but you can draw on the lessons learned by others of crucial mistakes you need to avoid when buying a first home.